I remember listening to the Catalyst Podcast when it was announced that Gabe Lyons was leaving the Catalyst family to set off on his own. And what he “set off” to do was create the Fermi Project, through which Lyons engaged the Barna Group to survey a new generation of Americans about their views of the church. 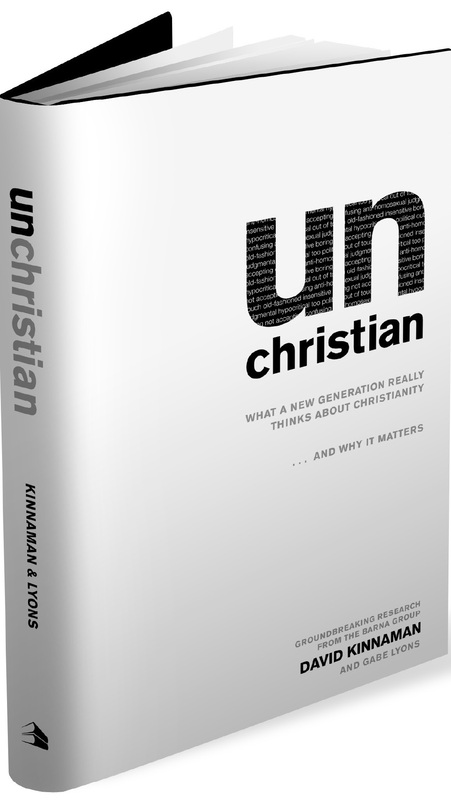 The results of this survey are shared anecdotally and expanded upon in UnChristian (Baker, 2007; ISBN 0-8010-1300-3) with David Kinnaman, the President of the Barna Group. Kinnaman and Lyons seek to help the reader understand why it is important for the church of Jesus Christ to reach young people. For example, did you know that research bears out the idea that most of us have a better chance of becoming Christ-followers before we become adults than after? “In fact, for every one hundred people who are not born again by the time they reach the age of eighteen, only six of those individuals will commit their lives to Christ for the first time as an adult” (pp. 72-73). Does that alone not give us reason to emphasize the spiritual foundations we give to children and youth? God invites the church to be full of grace and truth, even as Jesus himself was full of grace and truth (John 1.14). The sad thing is that, according to this research, the young generation of today sees the American church as hypocritical, ‘salvation-only’ focused, anti-homosexual, sheltered, too political, and judgmental. While there would have to be some adjustments made, many of these same accusations could be levelled against the Canadian church as well. Reading this book will help you appreciate the changes that the church needs to make in order to be able to reach a new generation of people for the Lord.